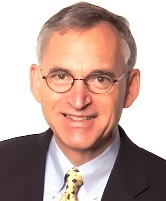 ← Are you adding value to your organization? 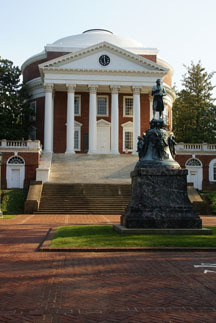 U.Va.’s famous Rotunda designed by its founder, Thomas Jefferson. Most of the time I’m proud of my alma mater, the University of Virginia. But when it was in the news so much last month, I cringed with each new report of trouble at Mr. Jefferson’s University. You may recall U.Va.’s president, Teresa Sullivan, was forced to resign, and then after a huge backlash and threats from Virginia’s governor to fire all of the university’s board members, the board reinstated Sullivan. It was a very strange two weeks and not a drama that we U.Va. alums are accustomed to. Aside from the obvious PR blunders that we witnessed almost daily, what leadership lessons might we draw from what happened in Charlottesville? Know your board. I was surprised that Sullivan said she was unaware that she had a problem with her board. Having worked with many boards over the years and seen some master politicians ply their craft, I would say knowing your board is an absolute “must” for CEO job security. I have watched CEOs woo their boards like Nixon in China, but I have also seen CEOs go down in flames because of vanity and colossal misjudgments. I do not think that Sullivan is vain or prone to missteps, more that she just wasn’t paying attention. I doubt if that will happen again. Honor your stakeholders. Public universities have many stakeholders—faculty, students, parents, donors, employees, the state legislature and governor, and the media, to name a few. The board members forgot that. In fact, they totally botched the way they handled Sullivan’s resignation. We’ll never know if the outcome would have been different if it were handled better, but one has to wonder. It’s amazing that there was no vote by the board, no discussion, even, before Helen Dragas, the university’s rector and board chair, privately notified Sullivan that she (Dragas) had the votes to fire Sullivan and forced her to resign. All of the university’s key stakeholders were caught by surprise. No wonder there was a backlash. Respect the values of your organization. The board was certainly empowered to fire the university’s president, but the way it was handled was not in keeping with U.Va.’s tradition of civility, mutual respect and openness. U.Va. is one of the few public universities with an honor code. Honesty and integrity mean something to U.Va. graduates. Dragas went to U.Va. and should have known better. Her moves may have been appropriate in the rough-and-tumble corporate world, but at U.Va. it seemed clumsy, power-driven and out of place. Anticipate the consequences of your actions. As it turns out, Sullivan was an incredibly popular president, and students and faculty rode to her rescue with organized protests and calls for reinstatement. The board seemed paralyzed by what was transpiring and failed to act quickly to exert control. It got to the point where the governor had to write a tersely worded letter to the board: Fix this, or I’ll replace all of you. Talk about holding feet to the fire. Cool heads can solve difficult problems. Happy endings are possible when cooler heads prevail. Sixteen days after the turmoil began, Dragas and Sullivan walked side-by-side into a special open board meeting called to resolve the crisis. There were statements of reconciliation and then a unanimous vote to reinstate Sullivan, plus keep Dragas as rector. Now that doesn’t happen every day in America. But it shows that even strong-willed people can change their minds and work together for the sake of an institution larger than themselves. Let’s hope the honeymoon lasts. Out of crisis comes change. Stepping away from the precipice doesn’t mean things go back to the way they were. Crises often accelerate change and open the door for new opportunities. Just this week, U.Va. announced a major step forward in online education, joining several other top-tier schools in offering Internet courses through a start-up called Coursera. Lack of movement in online education was one of the criticisms Dragas cited for seeking Sullivan’s resignation. It seems the crisis was a catalyst to forge ahead on this crucial issue, something that may or may not have happened otherwise. This entry was posted in Leadership and tagged boards, governance, Helen Dragas, Teresa Sullivan, University of Virginia. Bookmark the permalink.